graphqlgen translates GraphQL schemas into type definitions and scaffolds resolver implementations. It lets you implement type-safe resolvers without the need for writing boilerplate. Watch demo video. 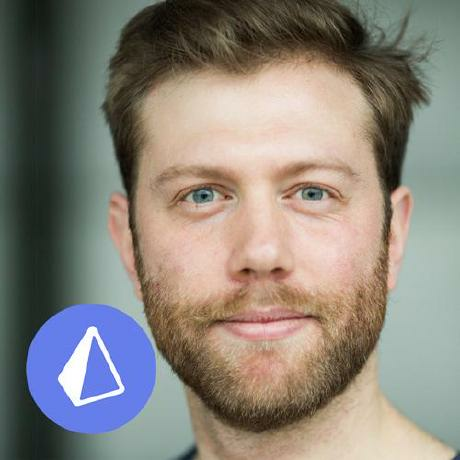 Type-safety brings a lot of benefits to developers. Most notably, compile-time error checking and auto-completion let developers have strong confidence in their code and increase their productivity. Without type-safety, it is very easy to introduce small typos or make similar avoidable mistakes that cost hours of debugging in the end. How about a little challenge to prove the potential benefits of type-safety? The query arguments of the login resolver are not accessed correctly. The correct way to access them would be via args.input (e.g. args.input.password) as they're wrapped in an input object. args.username is written all-lowercase in the login resolver while being written in camelcase notation in the schema. The signup resolver from the Mutation type is missing. The userName resolver from the User type is missing. Note that the sample user in the blue box represents the shape of the user object that's returned by the me resolver. This is why the id and name resolvers are valid but username is not (because of the casing mismatch). The profilePictureUrl resolver violates the non-null constraint defined in the schema. How much time did you spend looking for the solution, and how many issues did you actually find? If the resolvers were entirely type-safe, you wouldn't need to spend one second on identifying these issues but just have the compiler catch them for you at compile-time. 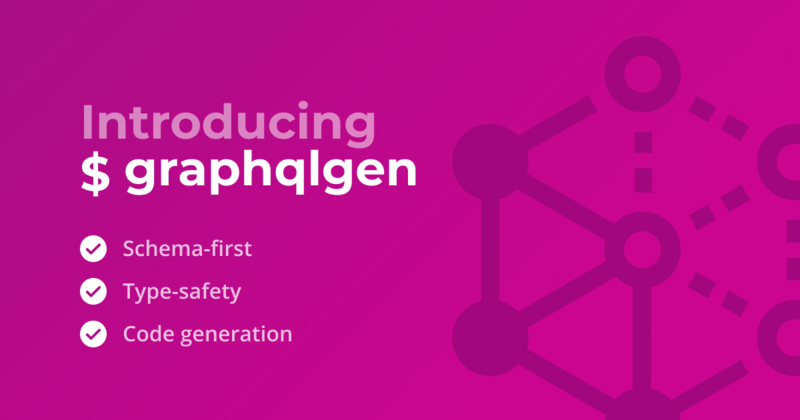 We built graphqlgen to help you make your resolvers type-safe. 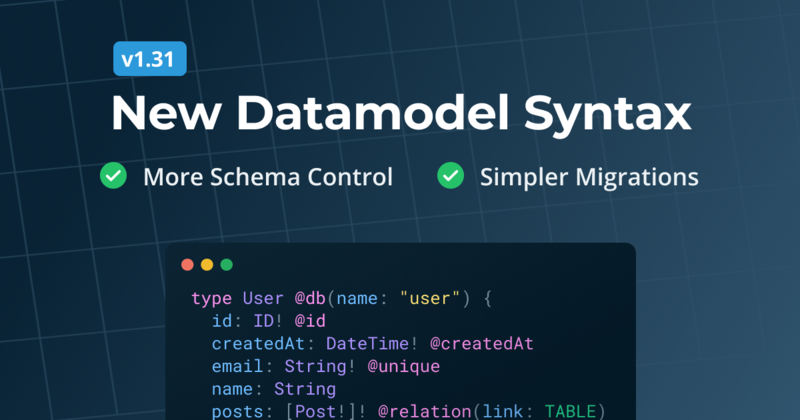 Before diving into a few typical problems that occur when building GraphQL servers, let's briefly review some relevant concepts: GraphQL types, resolvers and models. 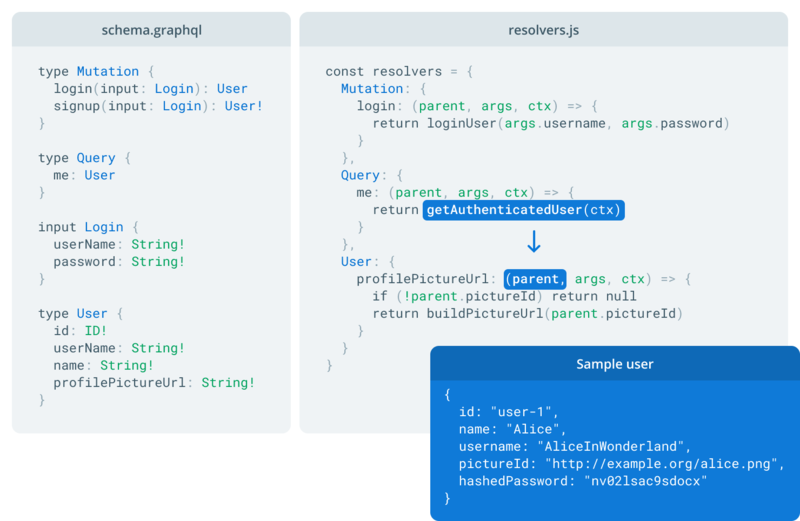 In the above illustration, we see GraphQL types defined in schema.graphql. The resolvers are implemented on the right in resolvers.ts. Note that the return value of the city resolver is the input argument (parent) for the City resolvers. Models are defined in models.ts and represent the objects that are passed through the resolver chain. They are returned by one resolver and found again as the parent argument of subsequent resolvers in the resolver tree (see the areas marked in blue). Problem: Keeping the GraphQL schema definition in sync with the corresponding resolvers is a challenging task, and gets more and more complex as a project grows. Problems mostly occur around naming inconsistencies (such as typos or wrong casing) but also when forgetting to implement entire resolver functions. 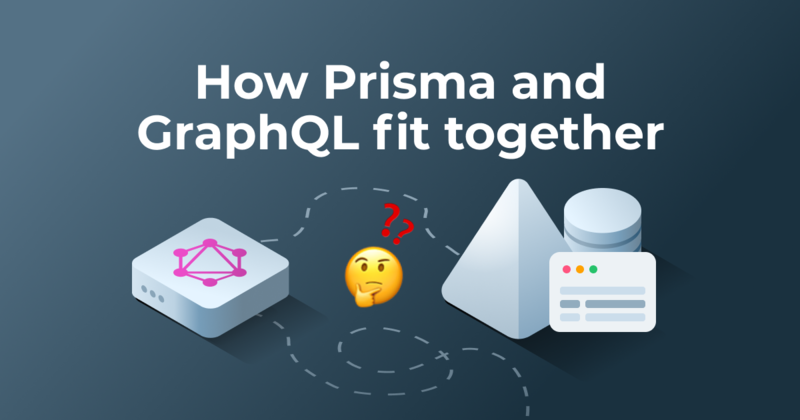 Solution: Use a schema-first approach to develop the GraphQL server. This means the GraphQL schema always is the source of truth and resolvers are implemented exactly based on the schema definition. 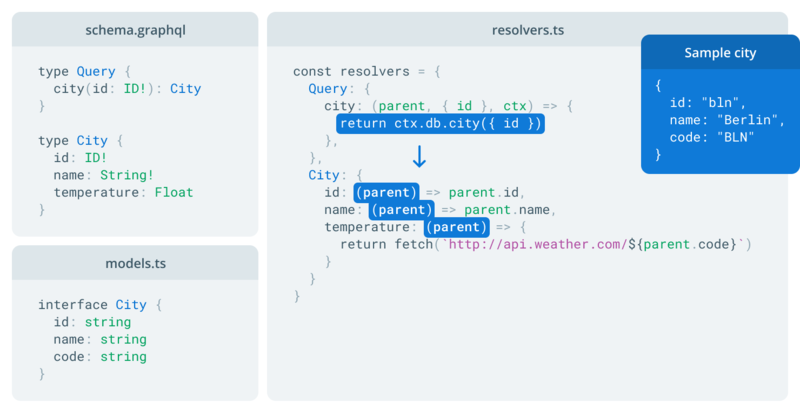 Using proper tooling that derives the resolver interfaces from the GraphQL schema definition is key when going schema-first. Problem: The process of resolving a (nested) GraphQL query involves multiple resolver "execution levels" (learn more) where the return value of the previous execution level is the input for the following one. Ensuring that the return value of a resolver matches the expected structure of the parent argument is crucial - if that's not the case, the GraphQL server blows up at runtime. Solution: Introducing type-safe models that represent the return values and parent arguments of your resolvers. With this approach, the compiler ensures that return values of previous execution levels always match the required structure of the corresponding parent argument. Problem: Ensuring your resolvers are completely type-safe requires huge amounts of boilerplate code. Keeping that boilerplate in sync with the GraphQL schema is an extremely cumbersome and error-prone process. Expand below for an overview of the boilerplate that's required to make your resolvers type-safe. Solution: The boilerplate can be auto-generated. Generally, the required boilerplate code is derived from the GraphQL schema based on a few simple rules. In order to avoid human mistake when translating the GraphQL schema into corresponding type definitions, this process should be automated and the boilerplate should be auto-generated using code generation. graphqlgen is an unopinionated and lightweight CLI that generally stays out of your way but is there when you need it. You can find the docs for it here. If you're adding graphqlgen to an existing project, you can use the graphqlen --init command to create an initial version of graphqlgen.yml. This creates the my-graphql-server directory with the code for a GraphQL server, including the setup for using graphqlgen. The graphqlgen CLI requires you to have a graphqlgen.yml configuration file present in your project. ./src/generated/graphqlgen.ts: A file containing the typings for the resolver arguments and return values. Also includes the resolver default implementations. This file is not to be edited manually and needs to be regenerated upon every change to the GraphQL schema. (See example). ./src/generated/tmp-resolvers/: A directory containing the resolver "skeletons". The generated files are temporary. The code in the generated files is meant to be copied and pasted into your current GraphQL server implementation. (See example). Adding a new operation to the GraphQL API (i.e. adding a field to the Query, Mutation or Subscription types). Updating a type in the GraphQL schema, e.g. adding, renaming or removing fields on the type. Removing a field from a model and update the resolvers. While graphqlgen is ready for production, it has not hit 1.0 yet. There might be breaking changes in the way how the configuration file graphqlgen.yml is structured, but the main functionality will remain the same. graphlgen currently supports TypeScript, but support for Flow and Reason is already on its way. 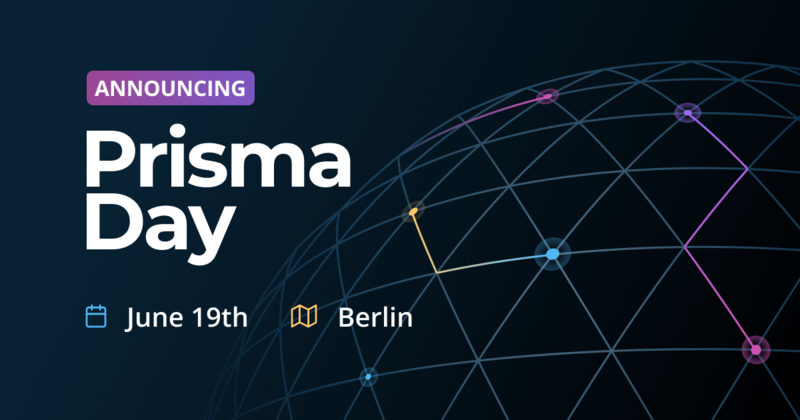 We're also planning to introduce a plugin-system for graphlgen which will make it possible to have even tighter integrations with other tools, such as Prisma or Apollo. We're excited to hear what you think of it! Feel free to provide feedback on GitHub or join the #graphlgen channel in our Slack for in-depth discussions.